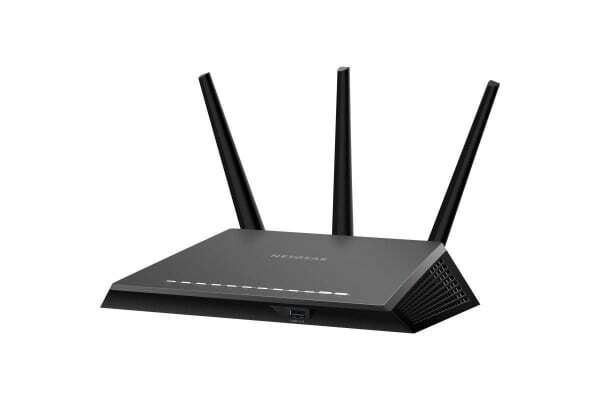 Built with gaming, streaming and mobile devices in mind, this Netgear Nighthawk Wireless Router supports MU-MIMO for simultaneous streaming and delivers extreme speed so you enjoy less buffering. Newest generation Wi-Fi technology increases your Wi-Fi coverage while reducing dead spots. With Beamforming+ and built in high powered amplifiers and external antennas, get ready for extreme performance! Access and control your router from anywhere using features such as NETGEAR genie remote access, ReadyCLOUD, OpenVPN and Kwilt app. Get the fastest Wi-Fi currently available and enjoy a blazing-fast, lag-free Wi-Fi experience for gaming, video streaming or surfing. 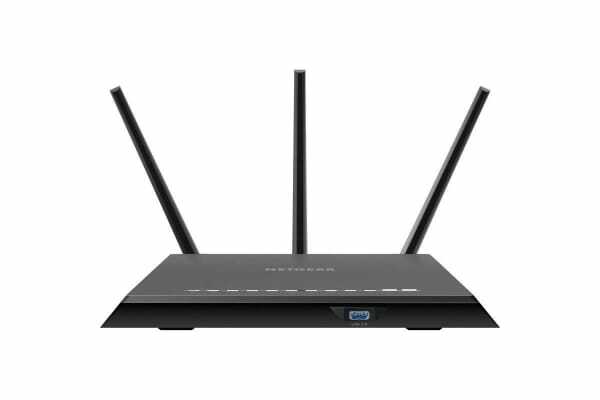 The Nighthawk Smart Wi-Fi Router provides Wi-Fi coverage no matter where you connect in your home. There’s nothing more frustrating than lost connections! With Netgear’s advanced features and best-in-class technology, you’ll reduce interference and enjoy more reliable Wi-Fi connectivity. It also maintains high security across your network to help ensure your privacy and family is safe while online. Whether it’s preventing phishing or just limiting access for kids and guests, Netgear has you covered. With Netgear, sharing across your network is fun and easy, anything from accessing stored photos and music to wireless printing. And make sure you keep it safe by using the included ReadySHARE Vault application for backing up Windows-based PCs. For Mac OS users, back-up using Apple Time Machine. Start enjoying your new device faster than ever. Netgear wants to make sure installation and management is simple and easy, so you can connect quickly and make sure you stay that way!